INBOX: DACA, SPENDING AGAIN DOMINATE — Thursday marks two important deadlines: the Senate’s self-imposed limit on a DACA compromise, and the end of current government funding. There seems to be little concrete movement on a DACA deal. President Trump used his State of the Union address to highlight his prerequisites for a deal, most of which Democrats have already rejected; in a speech to congressional Republicans at their retreat last week, the president again upped the pressure on Democrats to negotiate. Senate Republican leaders agreed to a wide-ranging floor debate on DACA if there’s no deal by Thursday. However, even if a bipartisan measure can pass the Senate, there’s no guarantee it would be taken up in the House or receive Trump’s signature. On funding, the House will reportedly vote early in the week on another continuing resolution, this one lasting six weeks. The contours of a larger budget deal are reportedly taking shape, with big increases for both defense spending and non-defense programs, including education. Education has not seen big spending increases in several years, as Congress has held total spending on non-defense programs largely flat. Education advocates have long said the spending cap must be raised so there can be more money for key programs like Title I and special education. It’s another short week in the House. Democrats are the ones leaving town this time, heading out Wednesday for their own retreat in Cambridge, Maryland. Former vice president Joe Biden — best known to the education world as the face of the Obama administration’s “It’s On Us” campaign aimed at ending campus sexual assault — is the keynote speaker. IN CASE YOU MISSED IT: WEIGHTED FUNDING PILOT – The Education Department on Friday announced that it is taking applications for funding systems that would let districts combine federal, state, and local funds in weighted, or student-centered, funding systems. Districts that utilize such formulas would have to use the funding to allocate more money for low-income students, English language learners, and other historically underserved groups. ESSA allowed the department to change the rules for up to 50 school districts initially, with a possible expansion later. Applications will be available starting Wednesday. Districts that want to participate in the 2018–19 school year must submit applications by March 12, and those that want to use it in 2019–20 have to send in applications by July 15. MONDAY: FOR-PROFIT COLLEGES — The Education Department continues its negotiated rulemaking (a process by which representatives of industry, advocacy groups, and the department try to work out new policy) on “gainful employment” regulations. The rules as proposed by the Obama administration would penalize for-profit colleges and certificate programs at nonprofit institutions if their graduates owe above a certain percent of their income in student loans. Schools that exceed that threshold for several years could lose eligibility for federal student loan aid, a move that would essentially force their closure. The Trump administration has proposed dramatically revamping the rules. The proposals under discussion this week (meetings go through Thursday) would apply the rules to “career programs” at all types of institutions and remove penalties for schools that don’t meet the standards. TUESDAY: HIGHER ED — The Senate HELP Committee continues its hearing series on higher education; this week’s will focus on affordability. 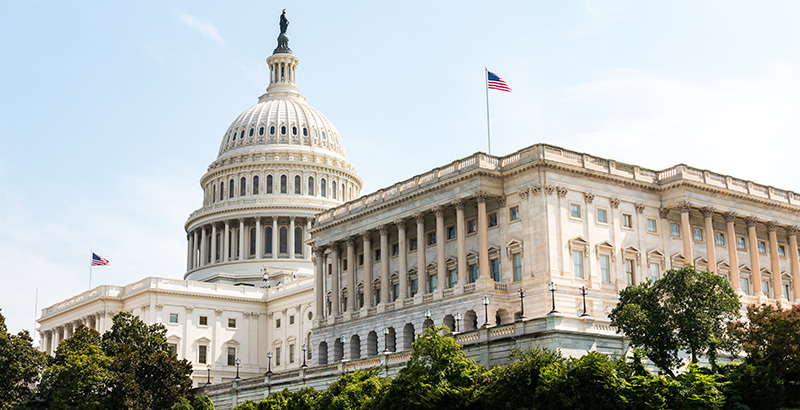 Committee leaders Lamar Alexander and Patty Murray, who joined together to rewrite the country’s K-12 law in 2015, have been at increasing loggerheads over the higher-ed rewrite, with each releasing their own set of competing reauthorization principles. THURSDAY: OPIOIDS — The Senate HELP Committee holds a hearing on the impact of the opioid crisis on children and families. The House Education and the Workforce Committee held a similar hearing last year.